We’re building an exciting community of South African blogs and influencers. 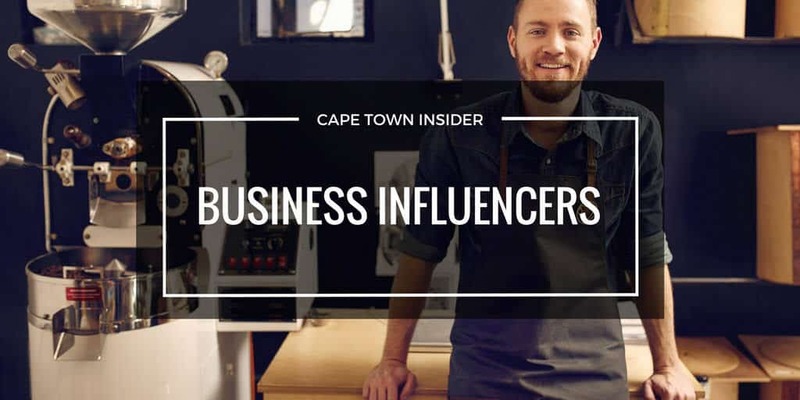 In this section you’ll find many of South Africa’s top business blogs who are just waiting to share their new products and reviews. You can use the search box to find your favourite business blog. Crypto Currency Specialists and Hardware Suppliers. Bitmart is the Leading Crypto Currency Mining Hardware and Blockchain products suppliers in Southern Africa. We specialize in Mining, Crypto Currency Trading and Arbitration as well as offering Bitcoin Trading Seminars and offer our own Trade Signal Indicators. Helping Business Owners, CEOs & Entrepreneurs Grow with More Leads & Sales for their Business using Digital Marketing. Welcome to the very first online peer-learning community for social investment in South Africa. Our community provides you with a wealth of resources, developed by our expert panel, and real-time advice and conversation with peers to aid you in improving your business’s social impact. Wealth Creators aims to uplift and educate those that step outside of the corporate structures and try their hand at starting a business and being an entrepreneur. A fun and interesting read, if you’re interested in technology, and if you’re not. I like to chat about start-ups and women in the industry and include profiles, news and product reviews. I don’t pertain to be an expert but am curious to always learn more and in turn write about it too. I’m a woman interested in gadgets and tech and that’s what I write about. Recruitment Marketing is how you present the Employer Brand and Recruitment Advertising is where you communicate the message to attract the right talent. This, being the first impression passive and active job seekers may receive, should be so powerful that they would want to apply without even knowing they wanted a new job. A blog about finding the hidden creativity in the world around us; sometimes the most extraordinary discoveries lie in ordinary places. Architect and journalist Mary Anne Constable’s portfolio. She has a specialised interest in sustainability and green buildings, while still retaining her passion for writing about creative design and exceptional architecture. She also writes critical thought Read More pieces about architecture and the world we live in. Her other skills are research and copywriting. Penquin is a 360° results-driven agency offering unique solutions that connect people and make them feel part of something bigger. Experiences are the soul of our creative thinking. They inspire us to tell stories that stir emotions, instil belief, and help you build long-lasting, authentic relationships with your customers. Spitfire Inbound is an innovative inbound marketing agency and HubSpot Gold Partner based in Johannesburg, South Africa. Our team of inbound experts regularly update our blog with tips, trends, and advice to help you kickstart your inbound marketing strategy. We believe in helping companies attract visitors to their website, convert leads and close customers with helpful, educational and entertaining content. Our blogs are written by our experienced financial recruitment consultants who have seen it all!. Our blog focuses on helping job seekers and those new to the workforce with topics surrounding CV writing, interview etiquette, career advice and the intricacies of the modern work environment. I write about startups and what it takes to be one, as well as inspiration / life and truth personally which can often be linked back to work life which actually should not be separate. Work is part of life and as soon as we start seeing work and personal as part of the same journey, we might just stop trying to find a balance that doesn’t exist and enjoy both. A Lifestyle and Business Blog to support home business owners with content that can help them leverage Social Media for their business. As a Business Blogger I use my blog as a platform to share stories from entrepreneurs and start-ups alike, on what it takes to start and maintain a business. This also gives them a platform to get some exposure for their businesses. As a Lifestyle Blogger I share some of my favourite travel destinations, movies, theatre productions, recipes and so much more with my readers. My end goal is to Read More inspire current and future readers to go after their goals, dreams and heart’s desires. Wanted - Existing Small Businesses. My Bottle Post is a brandnew service, focussed on the small business sector. You will use this service to draw new clients into your showroom. We will select one business in every town or village in South Africa to provide the service to tourists and locals. Most businesses will be able to add this service to their existing daily routine without any significant capital outlay. The service, because Read More of it’s unique nature, will provide unrivalled publicity. Nexus Lyseis focuses on assisting local South African businesses with online sales solutions to improve their search engine ranking, sales conversions as well as online lead generation. Nexus Lyseis is becoming one of South Africa’s largest online SEO resources. Know Any Amazing Business Blogs or Influencers? Do you know a business influencer/blogger that should be listed here?